Date of Construction 1938 - 1939 AD. Chulalongkorn University Conference Hall is a building of applied Thai style, which was designed to conform with new construction technique of those days, that is, reinforced concrete structure. 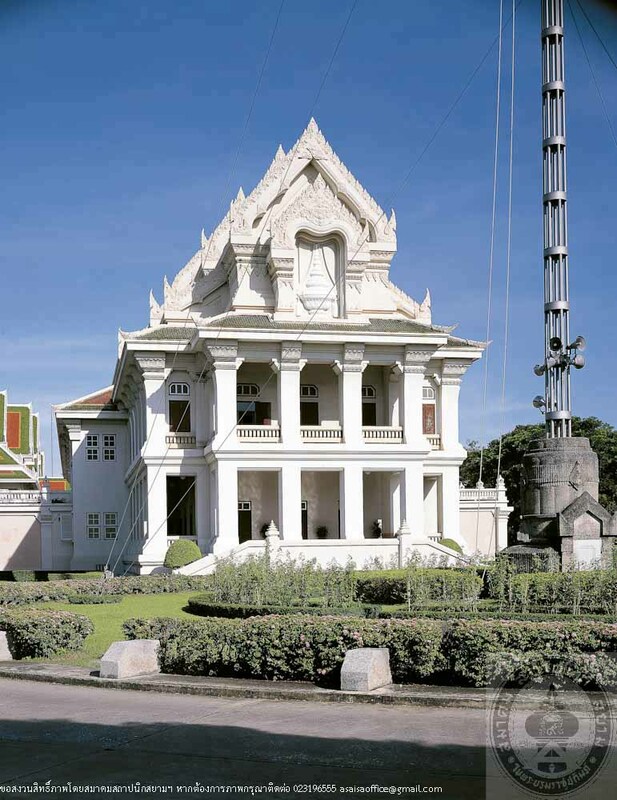 The design was in fluenced by the Ubosatha at Wat Rachathiwat designed by Prince Krommaphraya Narisara Nuwattiwong. The conference hall project was intiated by the University President, Colonel Luang Phibunsongkhram. The design was carried out by Phra Phromphichit (U Laphanont) and Phra Sarotrattananimman, architects of the Fine Arts Department. Construction began in 1938 and completed on 31st January 1939. Later in 1963, the hall was added with 2 wings on both sides as seen nowadays.